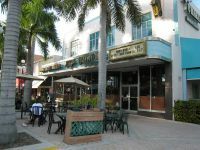 Visit of Hollywood, a charming tourist resort, is located 25 minutes north of Miami. Its boardwalk is undoubtedly one of the nicest in South Florida, very similar to the one of Venice Beach California. The boardwalk separates shops, restaurants, and bars from the beautiful sandy beaches. 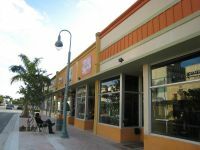 The city of Hollywood succeeded in preserving the boardwalk from any major real estate developments, keeping it with the authentic and genuine South Florida flavor. If interested to stay in Hollywood, visit Hollywood Vacation Rentals. 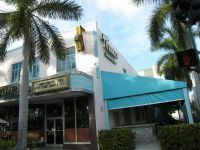 Hollywood lacks the glamour and sophistication that Miami or Fort Lauderdale projects, but it is a very charming city and its beautiful beaches make it a great vacation destination. To travel in a boat, visit Miami Boat Rentals, here you can rent a boat for a day, so you can see and relax in the wonderful view. Traveling eastbound for 5 minutes, visitors will discover the Hollywood Young Circle with its restaurants, jazz clubs, outdoor cafes and retail stores. The typical and authentic South Florida city accent remains untouched. The best time to visit the Circle is on weekend nights when this part of the city comes to life. A nice romantic dinner in one of the numerous restaurants followed by a drink in one of the Jazz bars like Ohara’s surely counts as a fine, fun night.